Insane! 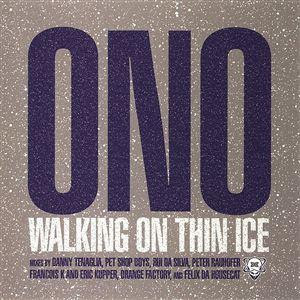 A track on constant loop on my iPod today: Ono - Walking On Thin Ice (2003). Ono, in reference to Yoko Ono, who first released it in 1981, after John Lennon writing this as his last ever song before his assassination on 8 Dec 1980. A remix version was released in 2003, with many different artists and DJs taking a shot (pardon the pun), amongst them the Pet Shop Boys. But it is the Peter Rauhofer one that for me. Trying to find a version to embed on Mark's Tracks, but in the meantime, enjoy this, directly from Peter's My Space site.